Fresh Catch: Perhaps an unlikely combo, seafood and fruit share a plate at the restaurant. 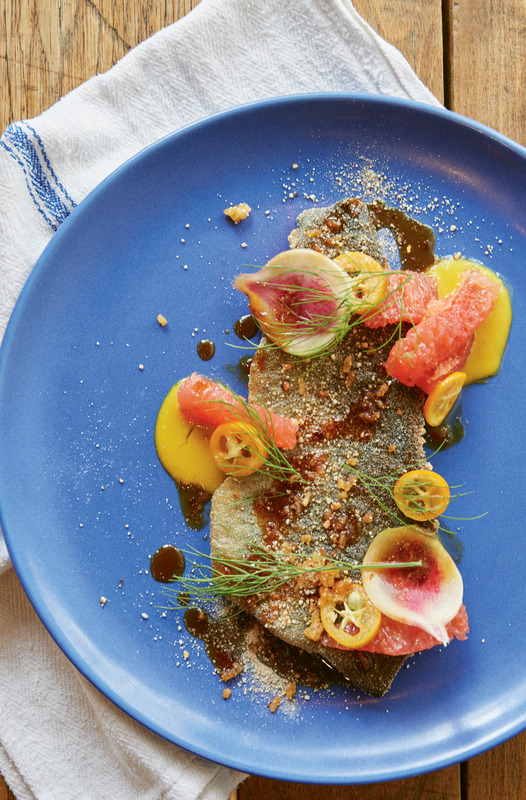 North Carolina trout is crisped with rice flour, then topped with miso sauce and tart grapefruit wedges. Lead Locavore: Chef Tres Jackson mixes homegrown ingredients with global flavors at Sorghum & Salt. Garden gold: Charred local broccoli and cauliflower are served with herby Romesco sauce and almonds. Sorghum & Salt has an urban farmhouse feel, with industrial-style shelves showcasing retail items. PHOTO: Chef Tres Jackson mixes homegrown ingredients with global flavors at Sorghum & Salt. In 2005, local food activist and social entrepreneur Jessica Prentice, along with Dede Sampson and Sage Van Wing, gave San Francisco Bay area residents a challenge: to eat products grown and raised within a 100-mile radius of their homes. For the event, Prentice coined the term “locavore,” blending the Latin words locus (local) and vorare (to devour). Two years later, the New Oxford American Dictionary chose “locavore” as its Word of the Year, and chefs across the country embraced—and continue to embrace—the idea while crafting their menus. For Tres Jackson, chef and owner of Sorghum & Salt, “locavorism” was the platform on which he shaped his first restaurant, Epiphany Café, in Tuscaloosa, Alabama. 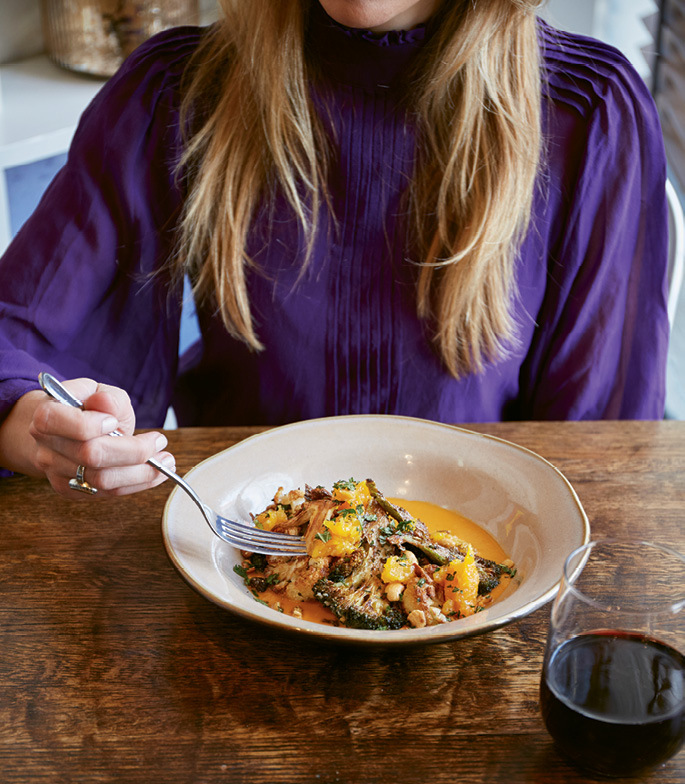 During its 13-year run, the eatery became known for sourcing ingredients from a 90-mile radius, and it was here that Jackson made manifest the integrity of vegetables, grains, and humanely raised livestock. 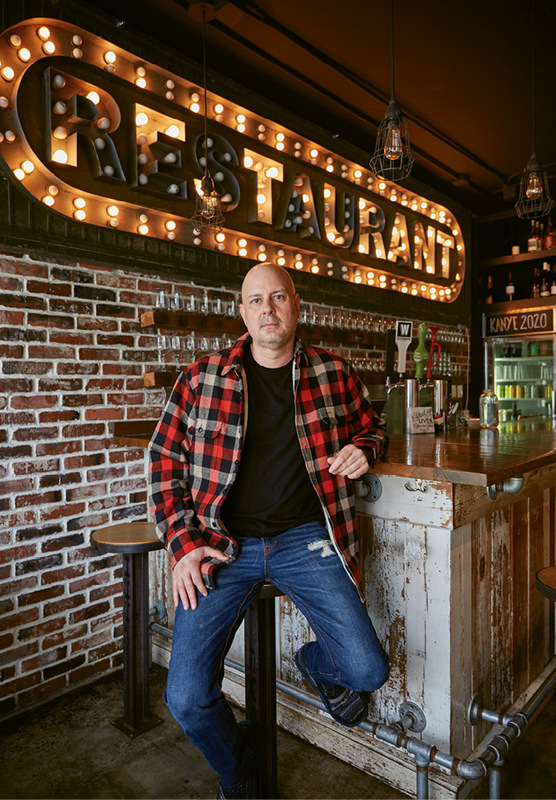 That same ethos followed him to Charleston, where the South Carolina-born chef opened Sorghum & Salt in the location of the former Two Boroughs Larder, a neighborhood café cut from a similar warp and weft of heirloom and heritage. Inside, the urban space broadcasts “RESTAURANT” from a marquee sign suspended on a wall of reclaimed Alabama brick. Its rough-hewn aesthetic surrounds the dining areas with weathered floorboards and doors whose patina bears witness to their mercantile roots. Pipe and fittings complete an industrial shelving system that displays cookbooks, condiments, and candles. 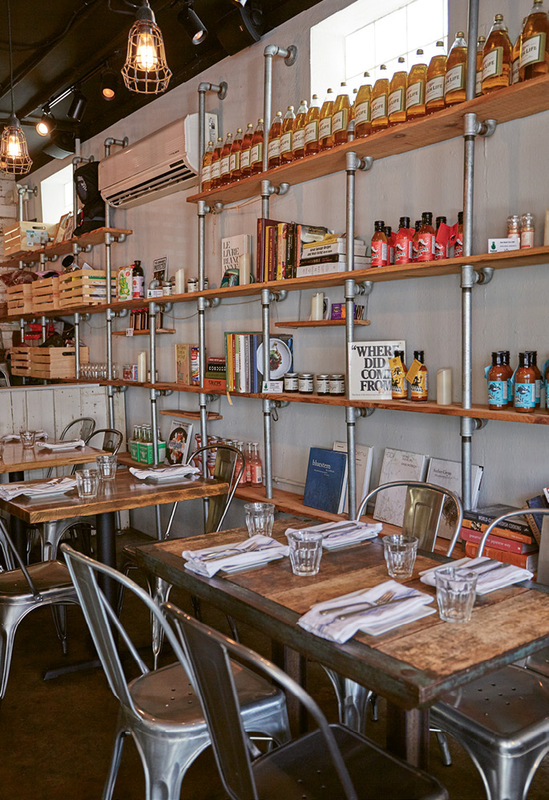 PHOTO: Sorghum & Salt has an urban farmhouse feel, with industrial-style shelves showcasing retail items (above center). 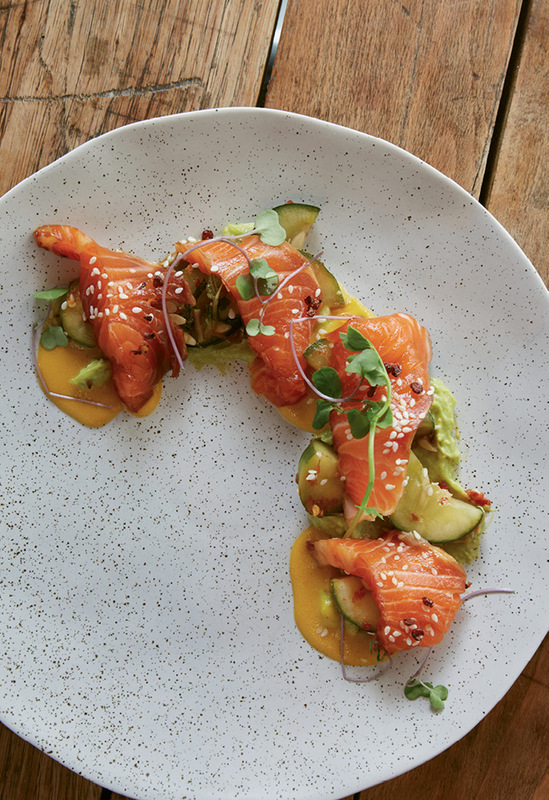 Intriguing sauces transform dishes like apricot mostarda atop cruciferous veggies (above left) and avocado puree and Szechuan chili oil with marinated trout (above right). Jackson and his team synch their menu with the seasons and proudly list the purveyors who make their culinary magic possible: Keegan-Filion Farm, Border Springs Farm, GrowFood Carolina, Palmetto Pork House, and Spade & Clover Gardens contribute to the range of ingredients and flavor notes incorporated into their dishes. The chef takes culinary flavor chords and riffs them into compositions that sing on the plate. Supple garganelli pasta is layered with roasted carrots pocked with caramelized flavor blisters, then topped with salsa verde and finished with toasted pepitas: the notes say Italian, but the song is Mexican. Heirloom Jackson Wonder butter beans stand in for classic Tarbais beans in a cassoulet served with Romesco sauce and green olives, making for a dish that tastes of Catalonia but with a French accent. Monkfish is pounded into picatta, an Italian specialty usually made with veal, but given a seaside spin here. What’s new and unexpected is expected in Sorghum & Salt, as the chef continues to test himself and his staff, imposing culinary will through techniques (charring, pickling), as well as experiments with the fermenting power of koji (used in spaghetti), the aromatic characteristic of yuzu (shrimp and Brussels leaves), the popping of sorghum, and the smoking of carrots. Local and seasonal are the chef’s North Star. He pushes the boundaries of flavor and function with each week’s harvest. 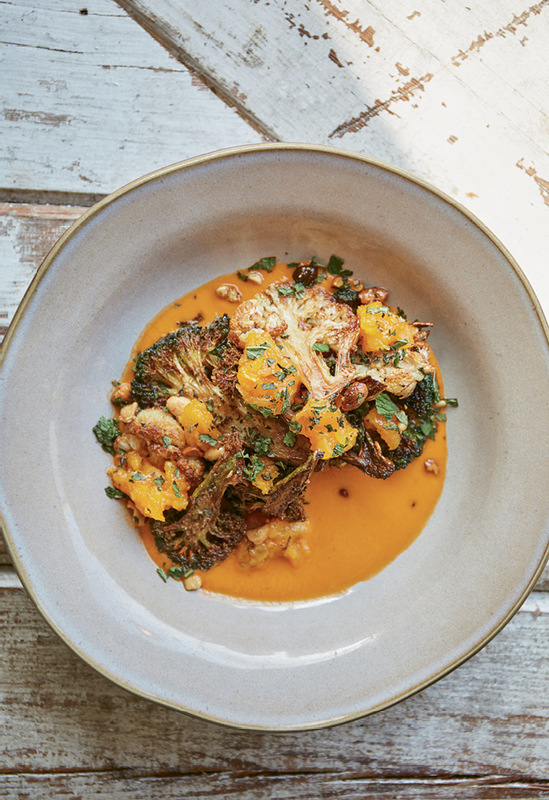 Ash and char are used both as seasonings and textural additions to vegetables and grains, including a ramped-up broccoli and cauliflower dish that is charred and served with nutty Romesco. You will also find root vegetables braised into Bolognese sauce, plus “animal butters” churned from the fragrant fats of pork and beef and served with bread. Sorghum & Salt’s menu harmoniously roams the globe, using ingredients like dashi, tamari, labneh, gremolata, gribiche, kimchi, and chutney with ease. Colors shape both palate and palette, as matcha, red pears, black olives, rose petals, and hibiscus flowers add brightness and spark to the plate combinations that sometimes puzzle with their abundance. Sweet and bitter notes are toyed with as fruit purees temper astringent, vegetal flavors, as in the caramelized Brussels leaves. Novelty and intensity define the desserts. Red beets yield their internal sweetness in the French crémeux that fools and charms with equal measure. The classic pudding, crafted from red beet puree, is a culinary trompe-l’oeil: your eyes expect savory, but your tongue tastes sweet. 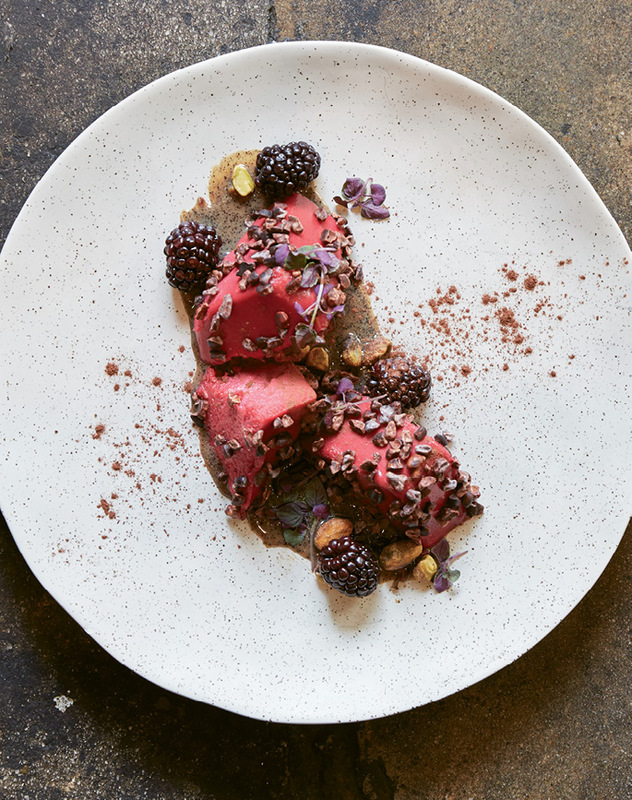 The dish is studded with chocolate nibs and plated with a moat of beet caramel—all you can do is grin at the juxtapositions. Here, you will experience “geo-cuisines,” where Jackson works with local and independent farmers, purveyors, and distributors to celebrate the world’s pantries and give new voice to regional ingredients. He presents a culinary gallery, exhibiting and honoring the seasonal harvest of the Lowcountry. The restaurant bears its moniker well, paying homage to the attributes of both sorghum and salt—to preserve.